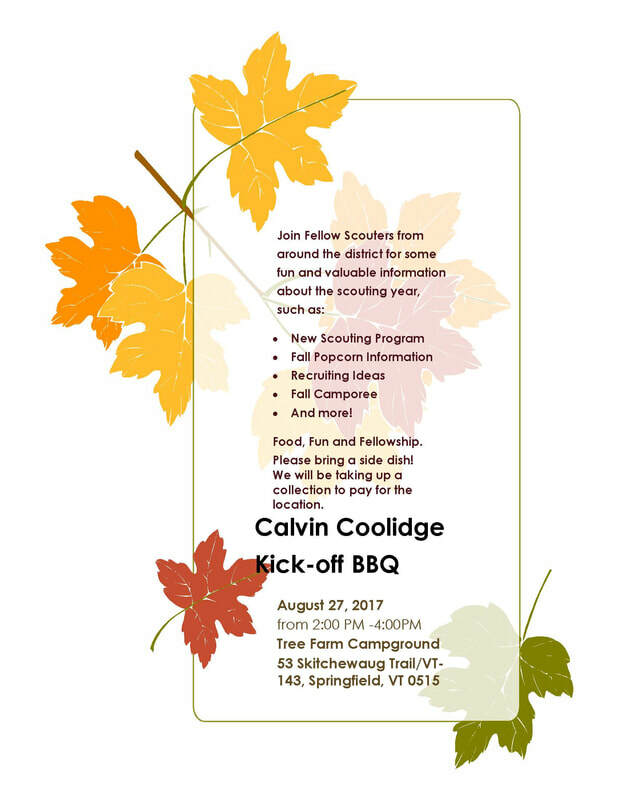 Scout Executive, Ed McCollin announced that Francesca Arato has accepted the position of District Executive for the Calvin Coolidge District of the Green Mountain Council. In her role, Francesca will be responsible for the Scouting programs in Windsor and Windham counties focusing on growing Scouting and supporting the hundreds of volunteers who serve as leaders for the Scouting units in the district. Francesca is a native of Turin, Italy and came to America for the first time in 2013 to work for the National Park Service as an environmental educator. She moved to Vermont with her husband one year ago. She enjoys snowshoeing, skiing, hiking, swimming, camping and growing her own vegetable garden. In her free time, she enjoys cooking, watercolors and pottery, as well as learning to play the guitar and harmonica. Please give her a warm welcome to the team. She can be reached at Francesca.arato@scouting.org. Calvin Coolidge District joining forces with Ethan Allen for an awesome joint Klondike Derby! It was recently discovered that the Ethan Allen Klondike derby is going to be held in Windham, VT, a part of the Calvin Coolidge district. 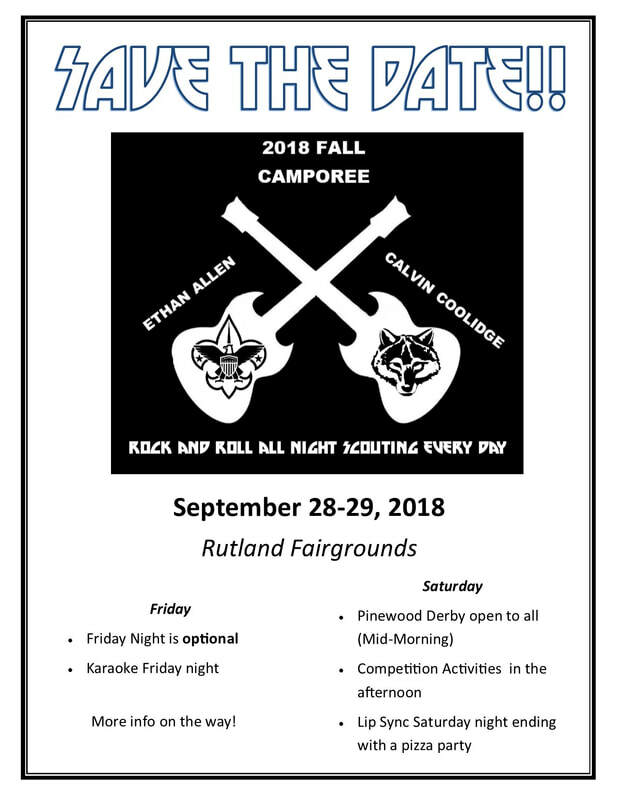 So, after some discussion with the Order of the Arrow Lodge chapter, it was decided to see if we can join them and supply staffing and more Scouts for the event. Their staff is all-in and look forward to working together to make this a fun-filled and challenging event for all Scouts. The event is set for Saturday, February 23rd at the Timber Ridge Ski Area in Windham, VT. An information flyer and registration form are available. Note, no on-site registration will be accepted, so please get your registration information in as soon as possible. The purpose of the ​Introduction to Leadership Skills for Troops (ILST) course is to teach Scouts with leadership positions about their new roles and how to most effectively reach success in that role. It is intended to help Boy Scouts in leadership positions within their troop understand their responsibilities and to equip them with organizational and leadership skills to fulfill those responsibilities. Completion of ILST is a prerequisite for Scouts to participate in the more advanced leadership course National Youth Leadership Training (NYLT). 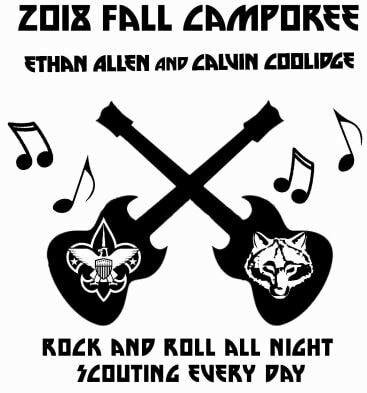 NYLT 2019 staff Brock Quesnel and Nate are offering this training to all 1st Class Scouts in the Ethan Allen and Calvin Coolidge Districts Saturday Morning, September 29, at the Fall Co-district Camporee at the Rutland Fairgrounds. 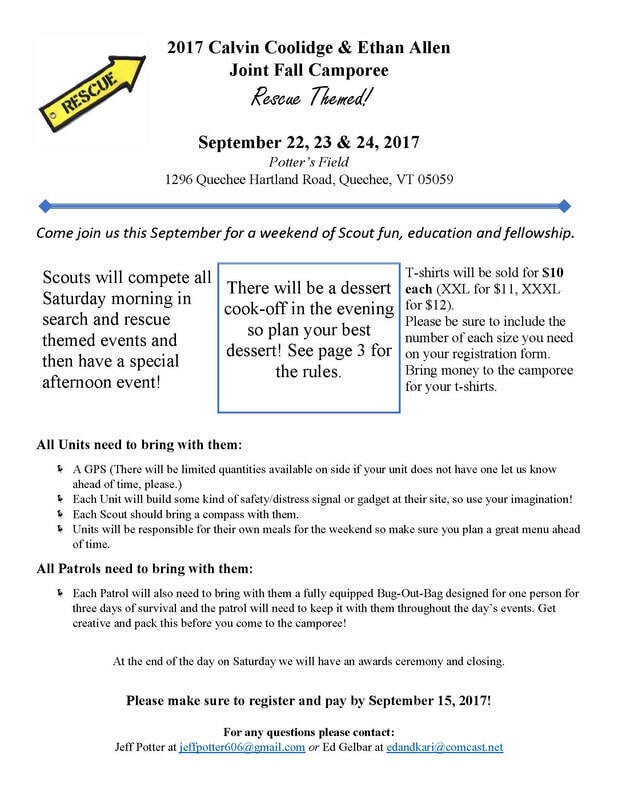 Scoutmasters are encouraged, but not required, to attend with their Scouts. Please RSVP with the number of Scouts attending to Dean Silloway at dean@silloway.net to ensure that we have adequate materials for all interested. 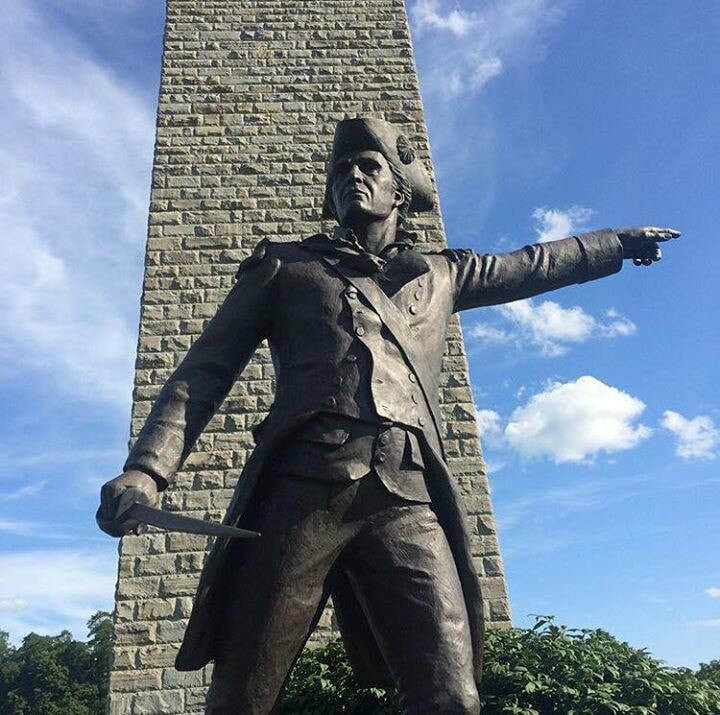 More information and registration available on the Ethan Allen Activities Page. DINNER- HAMBURGERS/HOT DOGS PROVIDED AND POT LUCK- PLEASE BRING A DISH TO SHARE.